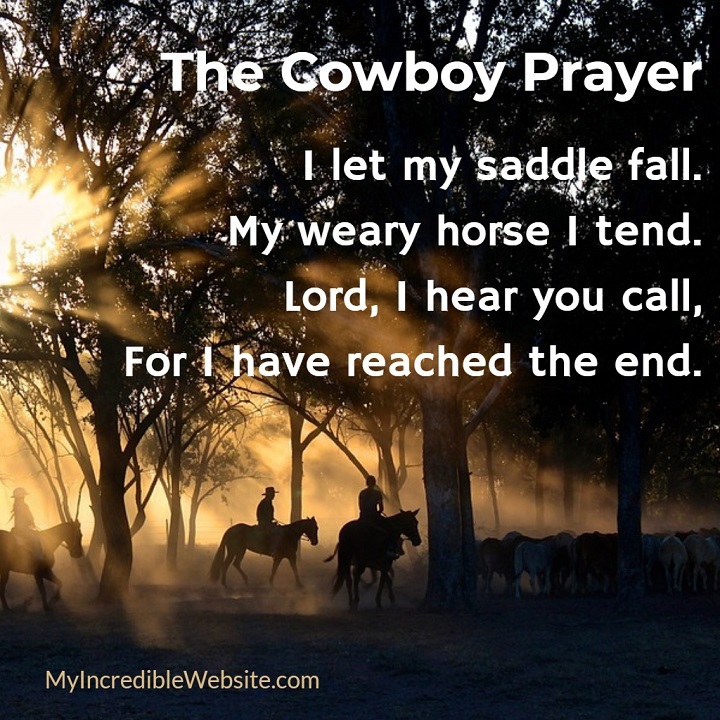 I let my saddle fall. 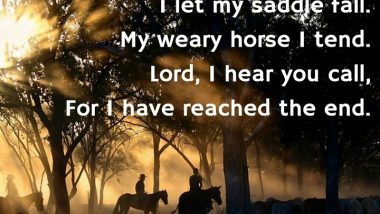 My weary horse I tend. For I have reached the end.